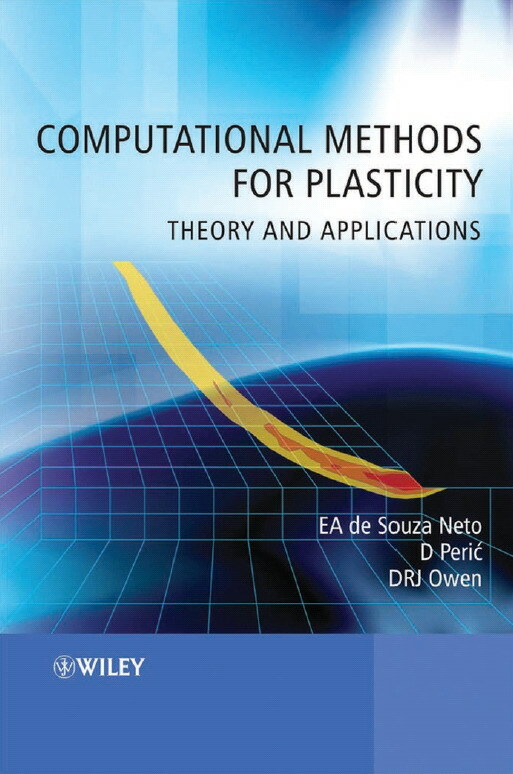 EA Souza de Neto, Prof. D Peri?, Prof. DRJ Owen, "Computational Methods for Plasticity: Theory and Applications"
* Offers a self-contained text that allows the reader to learn computational plasticity theory and its implementation from one volume. * Includes many numerical examples that illustrate the application of the methodologies described. * Provides introductory material on related disciplines and procedures such as tensor analysis, continuum mechanics and finite elements for non-linear solid mechanics. * Is accompanied by purpose-developed finite element software that illustrates many of the techniques discussed in the text, downloadable from the book’s companion website. This comprehensive text will appeal to postgraduate and graduate students of civil, mechanical, aerospace and materials engineering as well as applied mathematics and courses with computational mechanics components. It will also be of interest to research engineers, scientists and software developers working in the field of computational solid mechanics. If you like this book, we strongly suggest to buy it! Support the authors!